The holy grail of employee time management! Everything in one place! Feeling the weight of varied employee data and timesheet details? Don’t waste any more of your time juggling time. Standard Time is the comprehensive, easy to use solution that stores everything in one secure location shared by all employees. and get more out of your time. 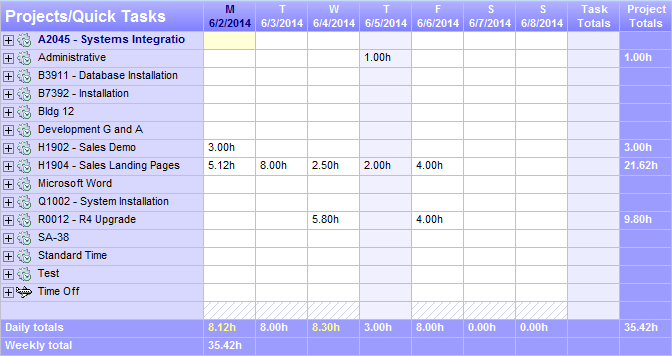 Reports show employee hours, project hours, client, PTO, and other information. It's right there in one place!